We’ve been dealing with a serious drought throughout all of New Mexico, but it is extremely troubling this year in Taos. The last precipitation we got was back on April 25th, so it’s been all of Spring, and now into the Summer temperatures that we are not seeing any rain. Leaving Truchas and continuing on NM 76 towards the village of Las Trampas, enjoy a spectacular vista as the valley opens before you, with the Truchas Peaks rising on the eastern horizon. Founded in 1751, by a Spanish land grant entitled Santo Tomas Apostol del Rio de las Trampas, (Saint Thomas, Apostle of the River of Traps), Las Trampas was settled by 12 families from Santa Fe. 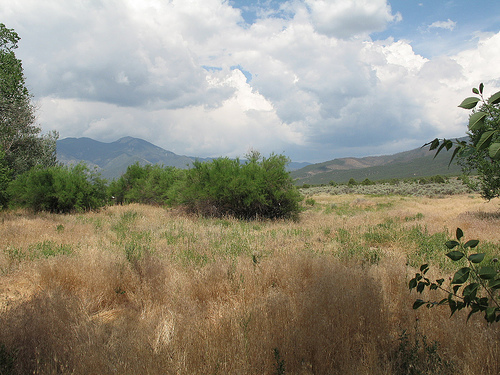 Located in the valley between Truchas and Picuris, Las Trampas is approximately halfway between Taos and Santa Fe, on what is now the High Road to Taos. As with other communities established at that time, the village was built around a plaza. When the village came under attack, the entrances to the plaza could be blocked to create a fortress. And the village did survive numerous attacks, as well as a smallpox epidemic. Of note is the church of San Jose de Gracia at Las Trampas, one of the finest examples of the parish church still existing, with outstanding reredos, or altar screens, painted by well-known santeros. Parish churches were a more elaborate structure, based on the original mission churches which were established by the Spanish in New Mexico. The mission churches were simple rectangular structures of adobe bricks with flat wood beam ceilings. They were fashioned after the fortified churches of Mexico, with tall, bright, white-washed interiors. Constructed of the same materials, the parish churches evolved into a cross-shaped plan like the great cathedrals of Mexico and Spain. To the exterior of the mission church were added one or two simple bell towers. Definition: “a close-fitting waist-length garment, typically having no sleeves or collar and buttoning down the front.” Origin: King Charles II introduced the vest (or waistcoat) in England by Royal Proclamation on October 7, 1666. It was a simple straight cut, close-fitting garment made from black cloth with a white silk lining. 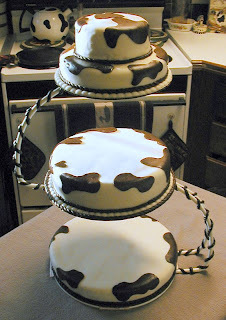 Promoted personally by the King, it was soon popular with everyone. However, the political purpose was to undermine French fashion influence in England, and the vest’s simple lines was meant to defy the extravagant dictates of Versailles. The vest was based on a style brought back to England by visitors to the Persian court of Shah Abbas. It became sleeveless around the 1750s, and the garment eventually made its way to the New World. 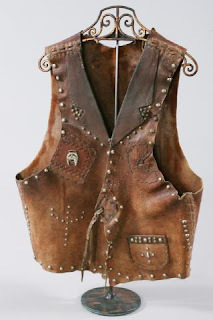 When young men began traveling out West in the 1860s, they brought the current “highfalutin” Eastern fashions with them, which included tailored trousers, suitcoats and vests. They simply added the Western accents, such as a cowboy hat, bandana scarf, and a gunbelt to the mix. You then had the “gentleman cowboy” look, so well depicted in the films, “Silverado,” “Wyatt Earp,” and “Tombstone.” There were also “western style” vests, made from suede and leather, with elaborate fringing. This was more the “mountain man” or “outlaw” look, also depicted in western movies. The four seasons are determined by the path of the earth around the sun, and its affect on the tilt of the earth’s axis in relation to the sun. Each season begins on either an equinox, or a solstice. During the spring and fall equinoxes, the day and night is of equal length. Summer solstice is the longest day of the year and winter solstice is the shortest day of the year. The North Pole is tipped more toward the sun on the summer solstice than on any other day. The opposite is true for the Southern Hemisphere, where the same day is the winter solstice. As a result, the sun appears at its highest point in the sky on noon of the summer solstice. Depending on the latitude of the viewer, the sun will appear to have a different “high point,” being directly overhead at about the latitude of Cuba, but still at a low angle when viewed in Alaska. It’s all downhill from there, at least from the perspective of the height of the sun and the length of the days... until the day following the winter solstice. Due to the differences in the astrological calendar and the human calendar, the day of the solstice varies, most often occurring on June 20th, but occasionally on June 21st. 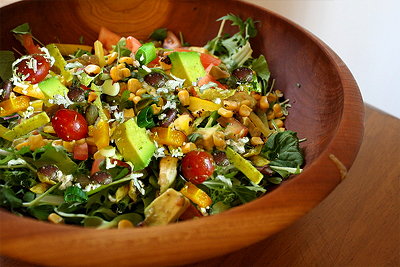 The summer solstice has been celebrated by many cultures around the world for thousands of years. The ancient Egyptians built the Great Pyramids so that the sun, when viewed from the Sphinx, sun sets precisely between two of the Pyramids on the summer solstice. The Incas, of South America, celebrated the summer solstice with a ceremony called “Inti Raymi,” which included food offerings and sacrifices of animals and maybe even people. 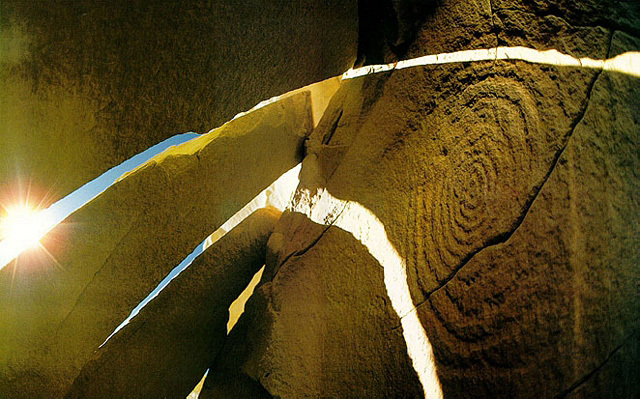 Chaco Canyon is home to a number of sites which are thought to be ancient observatories, the most famous being the “sun dagger.” Here, a set of spiral petroglyphs carved into a cliff face set behind three huge rock slabs, functions as a solar marker. At summer solstice, two shafts of light bracket one of the spirals perfectly. Light shafts strike the center of a nearby smaller spiral on the spring and fall equinoxes. It is thought that the dagger also tracked the 18.6 year lunar cycle. This is the third in a series of blog entries about the museums in Taos and the surrounding area. 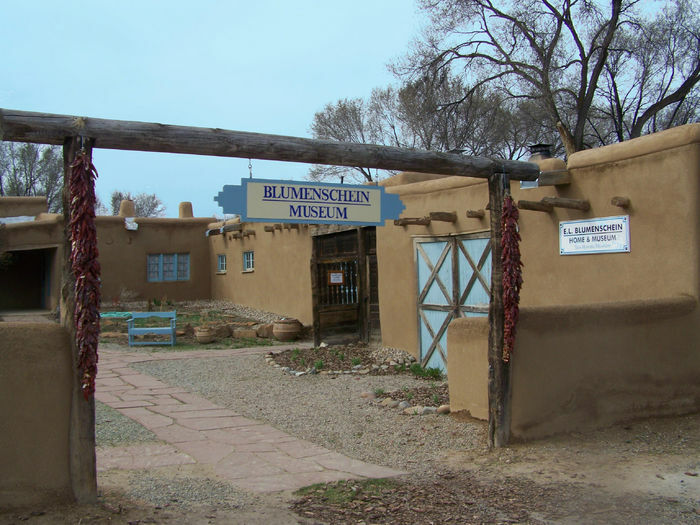 Housed in a circa 1797 traditional adobe structure, the E.L. Blumenschein Home and Museum celebrates the artist who was so instrumental in establishing the Taos Society of Artists. Blumenschein first arrived in Taos in 1898, with his friend and traveling companion Bert G. Phillips, when a wheel broke on their wagon; they decided to stay. The Blumenschein Home, which he acquired in 1919, is the only home of a Taos Society of Artists member that is open to the public. It features family possessions, a diverse art collection and eclectic furnishings that are preserved much as they were when the Blumenschein family lived there. The blend of fine European furnishings, Spanish Colonial antiques, and works by early Taos artists within the rustic home creates a uniquely Taos experience. 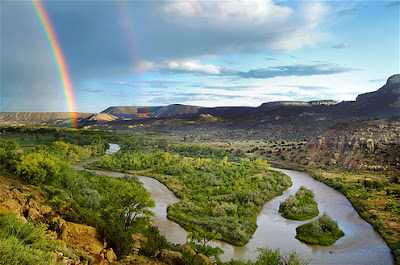 Flowing through a multi-colored sandstone canyon, which is at times 1,500 feet deep, the Rio Chama is a major tributary of the Rio Grande in Northern New Mexico. The Rio Chama’s mild rapids and stunning vistas make this the perfect river for relaxing family rafting and camping trips. Kayaking and canoeing are also extremely popular. A float through the entire 31-mile canyon and its Class II rapids, can take two to three days. There are scenic and heavily forested side canyons to explore, and quite a few historical sites. Much of this region is designated Wilderness or Wilderness Study Area, making its use fall under wilderness rules and regulations, with the exception of the lower eight miles of the canyon. Access to the Rio Chama has been limited since 1990. Because of the high demand for float trips in late spring and summer, a lottery system has been established to assign launch dates. Applications for floatboating and rafting permits for the upper canyon must be filed by February 1st of each year, and can be obtained by contacting the Bureau of Land Management (BLM). Frontier Circus was a short-lived Western television series about a traveling circus roaming the American West in the 1880s. The show aired on the CBS television network from October 5, 1961, until September 6, 1962, and was filmed by Revue Productions. The show featured veteran Western television and movie performers including: Chill Wills as “Colonel Kasey Thompson,” John Derek as “Ben Travis,” Richard Jaeckel as “Scout Tony Gentry,” and J. Pat O’Malley as “Duffy.” Thompson and Travis were the owners of the T & T Circus. The circus ran into lots of difficulties and troubled characters during its short run. The difference between its plot and the plot of most standard Westerns may have led to its short run. Frontier Circus is a true rarity, as it has not been syndicated in the U.S. since its cancellation. Frontier Circus ran opposite two very popular ABC sitcoms, “The Adventures of Ozzie and Harriet” and “The Donna Reed Show,” and another western series, “The Outlaws” on NBC. This is a very enjoyable show from those good ole days gone by. 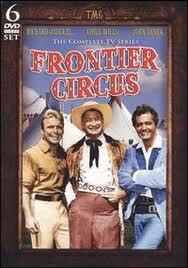 If you like "Rawhide," "Wagon Train," or "The Rifleman," then you are bound to like "Frontier Circus." Tucked away high up in the Southern Rockies, Red River, New Mexico is a tiny little town that does everything in a big way. 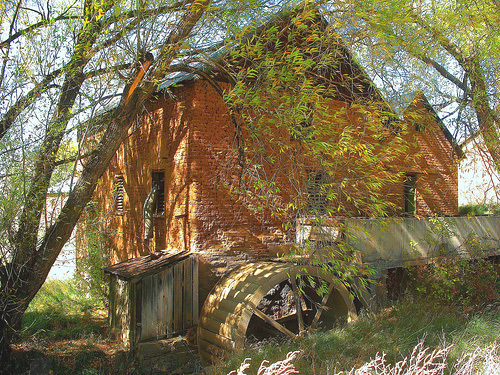 This former mining town has been a summer resort location for nigh unto a century, luring vacationers with its cool, fresh mountain air, spectacular alpine vistas, wildlife, and recreation opportunities. This weekend marks the third year of the Rivers and Brews Fest, bringing together great blues music, delicious food and micro-brewed beer, for a fun getaway in the mountains. Events start with an informal jam session on Friday night. 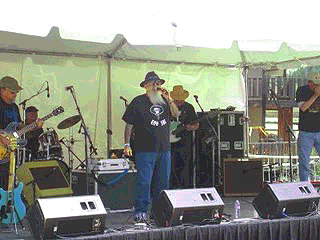 The Rivers and Brews Fest itself begins on Saturday, and takes place by the Red River in the middle of town. A food court is set up offering lots of great food from local restaurants, along with a number of fine selections from New Mexico’s oldest microbrewery. Saturday night the Red River Trolley will entertain you with music as it transports you to various music venues at Red River’s favorite bars. So bring a lawn chair or blanket, sunscreen, and your camera, and come on out for a great day of blues and fun in Red River! The Vintage Western toys featured in our Western Funhouse photo albums are from the 1930s, 1940s, 1950s, and (in some cases) beyond. During the early- to mid-20th century, several generations of America kids loved playing with these amazing creations. We’ve corralled some fine examples of these toys from days gone by for your viewing pleasure. Perhaps they will bring back some fond memories or simply entertain you with their good old-fashioned style. So have some fun looking through our collection of Vintage Western Toys in the Western Funhouse section of the Taos Unlimited website. We’ll continue now with the plastic toys. Taos Plaza Live! is a free annual concert series that takes place on the Historic Taos Plaza from 6:00 p.m. to 8:00 p.m. every Thursday evening during the summer months. The season opened with an All Star Jam. 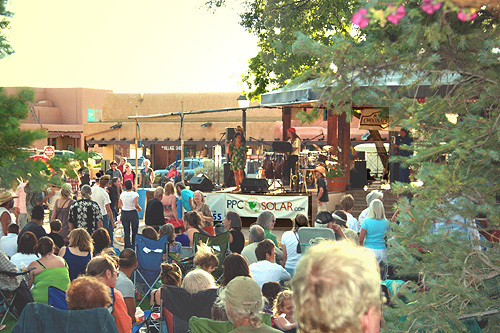 The plaza was crowded with locals and visitors alike, here to enjoy Northern New Mexico’s All Stars, which included members of Red River’s Damn Band and other local favorites. Enjoy a full summer season of free music on the Plaza, with a great lineup of local musicians, encompassing all kinds of music. Whether you like jazz, blues, country & western, rock, or traditional New Mexican/Native American music, there is an evening of music for you! 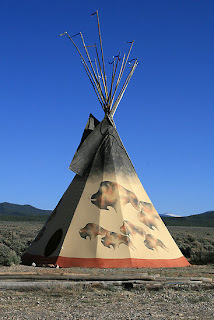 I love it when the teepees are erected in the Taos area for the summer season. It lets us natives know that the “time of the visitors” is here. Taosenos have “modern day” designed teepees. They can be made of different fabrics including 100% cotton and blends of polyester and cotton for hard weather areas. The owner can create their own artwork for the teepee or choose from many pre-made designs. Modern teepees have floors made of dirt, cement or flagstone, and they also have the option of adding a liner to protect the inside of the teepee from the harsh elements in Northern New Mexico. A teepee can usually be set up in one day and it is amazing to watch. The set up consists of placing the teepee poles in a tripod design, putting a lift pole in with the teepee cover attached, and finally, bringing the teepee cover around the poles. The teepee liner is inserted inside and is usually tied in bows in intervals around the structure. Because we are now living in the 21st century’s high tech world, some Taos teepees are wired for electricity in order to accommodate lighting, heating, and TVs... some even have their own satellite dishes!